Home > Community > Twitter Party > We Know You’re Going To Get Lucky At The March Twitter Party! It’s coming…the best bash of the month – the Love With Food March Twitter Party! 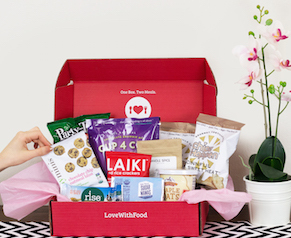 We’re stoked to party with all the great brands in our March “Happy Go Lucky” box and give our loyal snack lovers some great prizes! But WAIT, there’s more – you can enter right NOW to win an Early Bird prize! Because the 22nd is just too far away, amirite? Enter using the contest below by 3 p.m. on March 22nd for your chance to win, and we’ll see you all that night (from 5-6 pm PST) for the party! 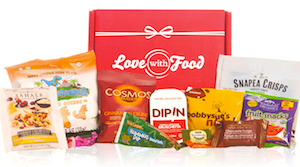 Love With Food March Twitter Party!